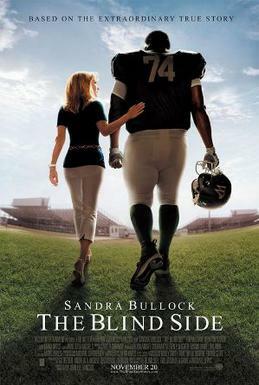 I’m going to guess that when Ray McKinnon signed on to play Coach Burt Cotton in the 2009 movie The Blind Side he couldn’t have guessed it would be among the top grossing films of the year and that his co-star, Sandra Bullock, would be nominated for an Academy Award as best actress. For a guy whose previous best-known role was probably that of Reverend H.W. Smith on the HBO series “Deadwood,” the success of The Blind Side can’t be anything but good. He’s already been nominated for a 2010 Spirit Award for his role as “Lonzo” in the indie That Evening Sun, opposite legendary actor Hal Holbrook. McKinnon, by the way, won an Oscar of his own back in 2002 for his work behind the camera on a short, The Accountant.